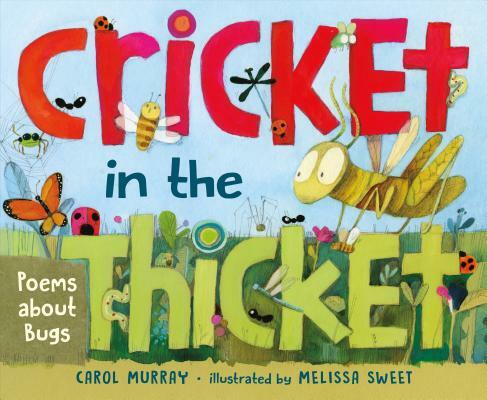 A nonfiction picture book of poetry about fascinating insects with accompanying facts, notes, and illustrations by the Caldecott-winning Melissa Sweet. Do you pray or simply prey? Or fold your hands all day? In addition to the playful rhyming poems, the supplementary text highlights surprising facts about bugs of all kinds—from familiar ants to exotic dragonflies, cringe-worthy ticks and magnificent fireflies. Melissa Sweet’s collage-inspired mixed-media illustrations beautifully render these creatures and compliment the poems’ whimsical tones. This is an enchanting and informative look at a perennial topic of interest for kids—cool bugs! Carol Murray is a poet and the author of a number of books for young readers, including ABC Art Riddles. A former English and speech teacher, she lives in Kansas. Melissa Sweet has illustrated many books for children, including Charlotte in Giverny. She lives in Rockport, Maine.